Medical Technology Center - Cassey's Optical, Inc. 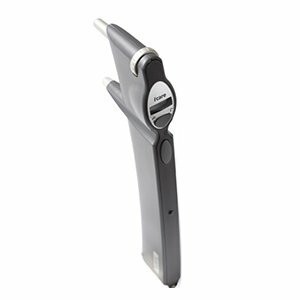 The iCare Tonometer uses rebound technology to get an accurate measurement of the intraocular pressure. This piece of equipment is ideal to get accurate readings on children or for our patients who are sensitive to the standard pressure measurement procedure. 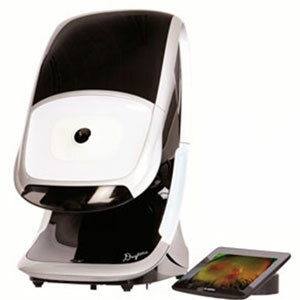 The Optomap Retinal Imaging machine provides our office with enhanced diagnostic capabilities. 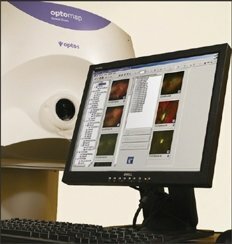 The images taken by this machine allow us to better analyze the health of the retina as well as to monitor for changes in existing conditions. The Daytona is capable of capturing color, red- free, and autofluorescence images that provide a very detailed and in depth look into the eyes. The Optovue doubles as both an OCT and an iWellness scan. The iWellness scan allows us to earlier identify signs of retinal and optic nerve disease that warrant further examination. 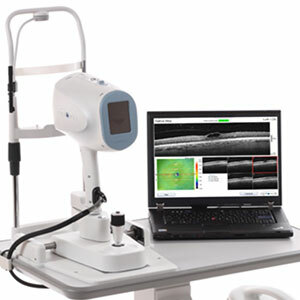 The Optovue captures cross-sectional, 3-dimensional, high-resolution images of the retina, optic disc, and anterior segment allowing us to diagnose and manage ocular disease such as glaucoma, macular degeneration, and macular edema from diabetes. This technology is only available at our Brookhaven location. 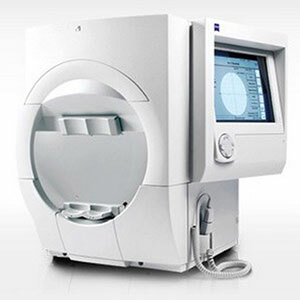 The Humphrey Visual Field machine detects vision loss due to disease and damage along the course of the visual pathway. We use this data in order to detect, monitor, and treat diseases such as glaucoma, macular toxicity, and certain neurological conditions. This technology is available at both our locations.